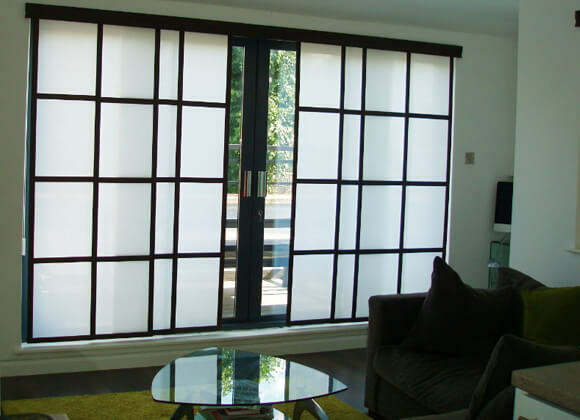 Panel Blinds, or Panel glides as sometime called, are Inspired by Japanese Soji screens. 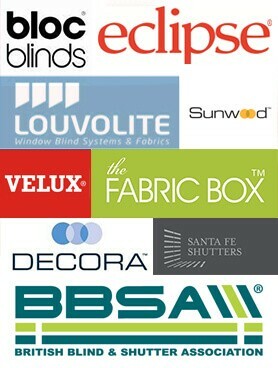 These Panel Track Shades offer a contemporary alternative to vertical blinds for patio doors and large windows & even spaces creating a divide in a room space. 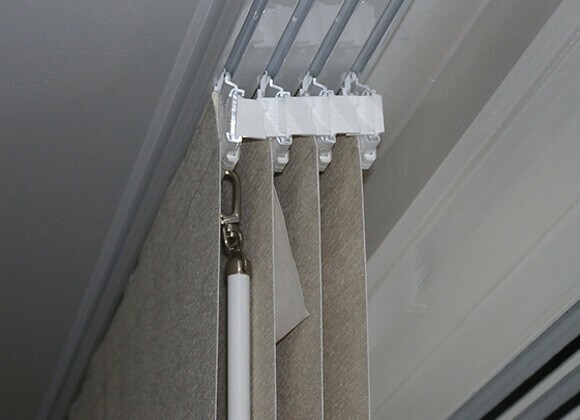 Panel blinds are divided into panels which sit behind each other when the blind is open to allow sunlight into your room. 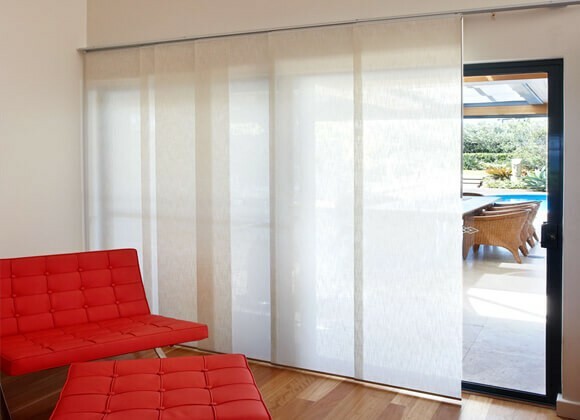 When closed they overlap slightly in order to provide total privacy in addition to blocking out light. 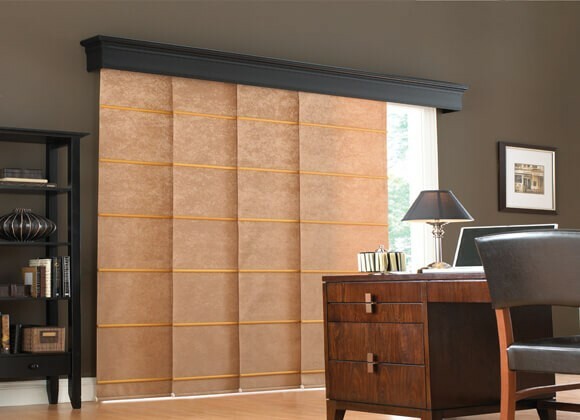 A panel blind is also a great, low cost room divider if you’re interested in sectioning up a space, whether in your home or business. 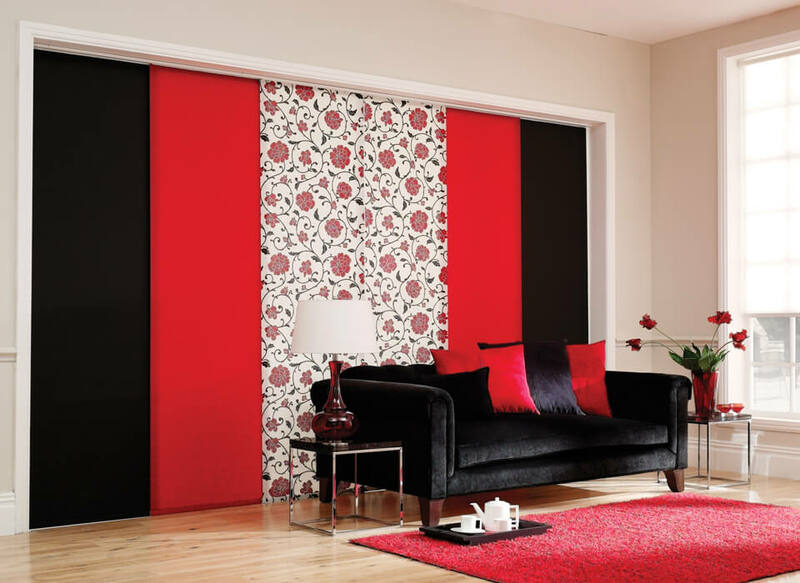 They make are a great alternative to sliding doors between two spaces. 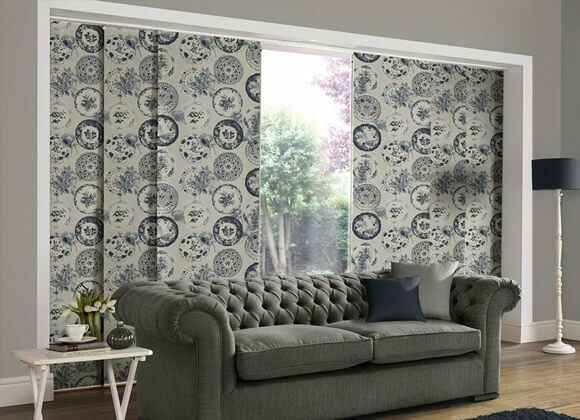 Available in a vast choice of designs, fabrics and colours, panel track shades coordinate beautifully with other categories of blinds and shades.